Darigold is the dairy products processing and marketing cooperative collectively owned and controlled by its nearly 500 dairy farmer producer-owners. The cooperative was founded in 1916 to meet the challenges faced by dairy producers. Originally known as the United Dairyman's Association, we later were called the Northwest Dairymen's Association, and since 1999 have been named the Northwest Dairy Association or NDA. Increasing influence on harmonizing standards, building legislative support and negotiating on behalf of the industry. Cooperatives also generally benefit consumers and the rural communities of which they are a part. Because they enhance shared ownership, democratic management and more equitable distribution of value generated, cooperatives are typically seen as inherently more sustainable than other organizational structures. The fact that NDA has successfully maintained a cooperative structure for nearly 100 years provides substantial evidence that it is providing benefit to its members. As of September 2016, NDA – owners of the Darigold processing facilities, business and brand – consisted of nearly 500 producer-owners in four states: Washington, Oregon, Idaho and Montana. NDA is currently the fifth largest dairy cooperative in the U.S. In the state of Washington, Darigold has again been ranked as the second largest private company headquartered in Washington, by 2015 revenue, according to the Puget Sound Business Journal (June 2016). The mission of NDA and its subsidiaries is to provide a secure market for our owners' milk while maximizing its value. 1) Making people our greatest asset, 2) Providing a secure market for our owners' milk, 3) Achieving operational excellence and 4) Growing the core, then adding more. We work to integrate these into our organizational culture, decision making and daily operations. Our core values are: Leading Change, Teamwork, Customer Focus, Honest Communications and Integrity. We strive to put these into practice daily in every part of our operations. 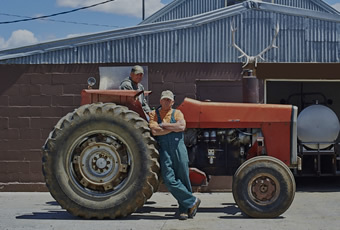 From ”barn to boardroom,” Darigold is owned by our farmers. Our governance practices demonstrate how this is operationalized. The NDA Board of Directors consists solely of current NDA members who are free of private interests unduly adverse to the economic interests of the Association. Directors are elected by their fellow NDA members from districts established in accordance with the Association's Bylaws. The normal director term of office is 3 years. NDA Executive Committee – The Executive Committee is formed under NDA Bylaws, Section XVI, and consists of the Board Chair, the Board Vice-Chair, the Secretary, the Treasurer and two other Directors elected by the Board of Directors. The Executive Committee's powers are as prescribed by the Board of Directors and may include all of the powers of the Board of Directors, subject to the general approval and control of the Board.